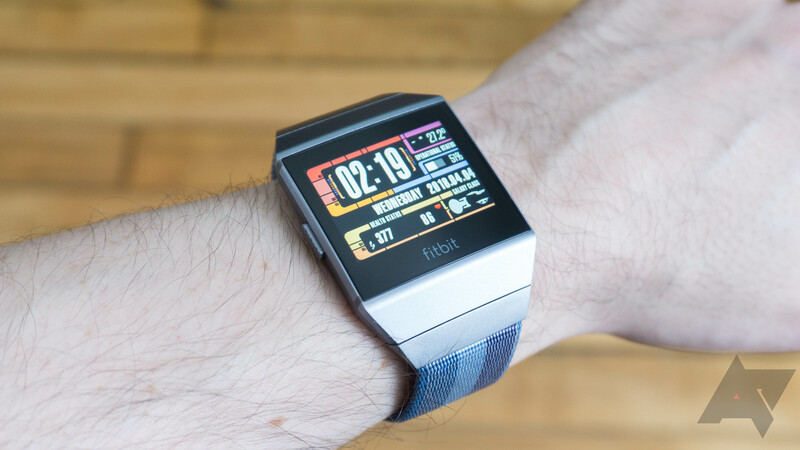 The Ionic was Fitbit's first real smartwatch. It has a kind of strange design, but it grows on you in time. It has NFC for mobile payments, and the band is easy to swap. The Versa is a bit more compact, and it looks like an Apple Watch from a distance. 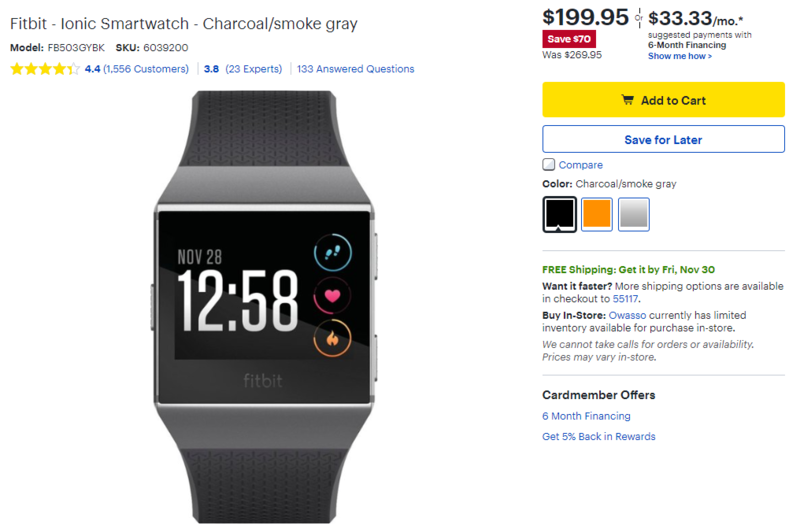 This watch doesn't have NFC (in the base model), but it looks nicer than the Ionic. Both watches can sync your notifications (not very well), have custom watch faces, and come with excellent fitness tracking. 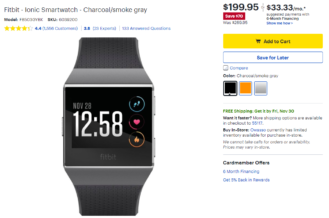 The Ionic usually costs $269.95, but Best Buy has it at $199.95 right now. Meanwhile, the Versa is a little cheaper with a normal price of 199.95. 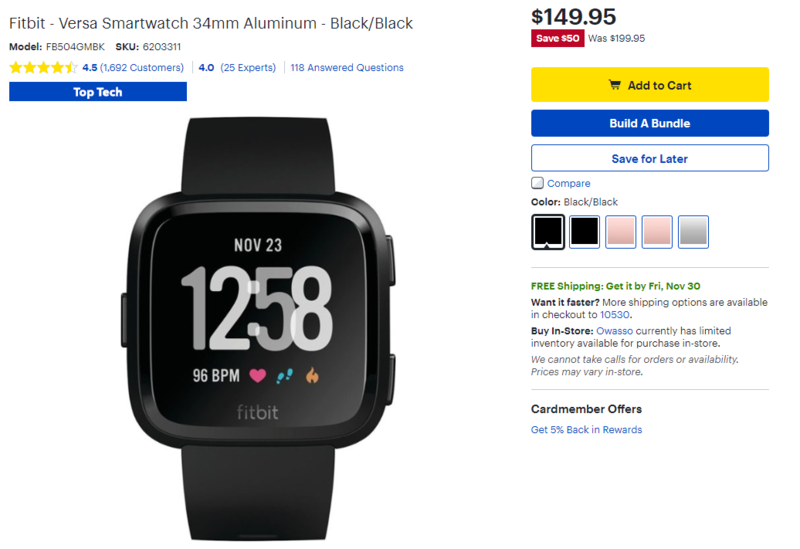 It's down $50 to $149.95. Both devices are available with free shipping, but most Best Buy stores should have them in stock.